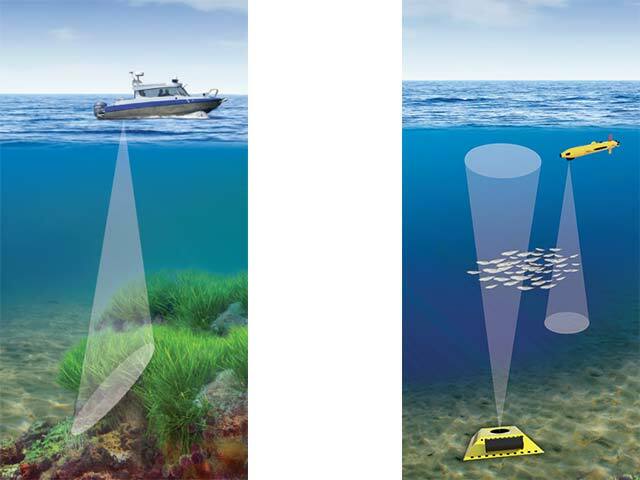 BioSonics pioneered the use of hydro-acoustic technology to monitor aquatic resources. Offering hydro-acoustic solutions for monitoring biological and physical features in virtually any aquatic environment worldwide. Their hydro-acoustic hardware, software and accessories are field-proven, versatile, and optimised for maximum flexibility, reliability and ease of use. These provide an in-depth understanding of the underwater environment for assessment, research and management. Predominantly used for fisheries and aquatic management, underwater security and net pen aquaculture. This echo sounder enables information gathering for efficient fisheries management as and when you need it. This product enables you to monitor and assess marine mammals, fish, zooplankton, and other aquatic organisms below the surface. Used for aquatic habitat assessment and mapping. Assessment of submersed aquatic vegetation (SAV) substrate classification – delineate sand, mud, rock bathymetric mapping. This automated, real-time analysis software is used to obtain Instantly usable information for fisheries management. Real-time data acquisition and playback software for BioSonics DT-X and MX Echo-Sounder Systems. BioSonics DT-X mobile Echo-Sounders are widely used to determine fish population and sizing distribution in lakes, reservoirs, rivers, and coastal waters.